Would you like to convert your networking conversations into real business? 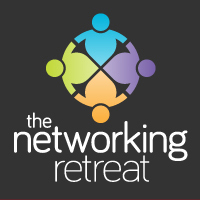 I will work with you, or your team, to turn your networking into a steady stream of referrals, prospects and clients. After over 750 networking events and a massive amount of social media activity over the last eight years, I’ve made all the mistakes you could make. But you don’t have to. I can help you to accelerate the results you get from networking, based on my experience and love of networking as a route to market. Most people think they know how to network and are then frustrated when they don’t get the results they expected. Don’t be most people. There are a number of ways to make networking work – I will show you all of them and make sure you get the results you deserve. You can work with me one to one, or at one of my regular “Business Networking NOT for Dummies” masterclasses.